This time of year we see a lot of coaching changes in football. Losing a coach can be devastating and learning to live with a new coach can be even more difficult. One of the most difficult coaching changes for me came right before my senior year in college. My position coach left the University of Wisconsin to coach for the Philadelphia Eagles. At the time… I was crushed. And honestly, a little scared. In college, your position coach is often your most trusted mentor. They know you better than anyone. For me, Coach Callahan was the reason I got a chance to play. He was a tough coach. However, his attention to detail and demand for technical excellence fit me and my personality. I needed someone to be the demanding perfectionist. It’s what allowed me to grow and thrive in college football. It all turned out okay with the new offensive line coach. However, I always wonder what I missed out on without him there my senior year. I also remember the things I learned having to adjust to a new coach. He was also a great coach too, he just had a different style. What I had to do was get over the loss and move on. I realized that experiencing a new point of view can be very beneficial. In the end it made me a better player and a far better coach. 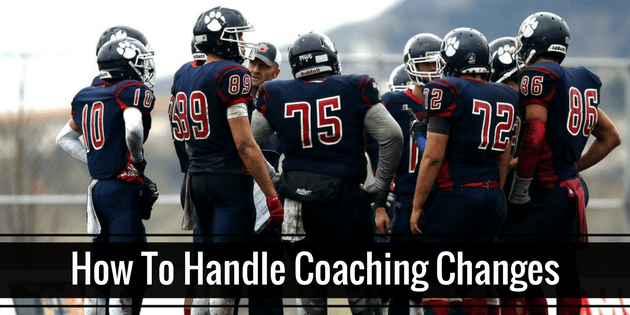 Let’s look at some tips to handling coaching changes. Understand their reason for leaving. It’s not just players that dream of being successful. Coaches, especially position coaches, may have aspirations to be coordinators or head coaches. When opportunities for advancement come along, coaches have to look out for themselves and their families. This is their career and their livelihood. Most coaches will let their players know why they are leaving and try to explain their situation. Be sure to look at it from their perspective and not just your own. When you have a coach for several years (in my case it was 4 years), you create a relationship. Just like the guys you play with become family, often a coach does as well. It’s not just hard on the player. Coaches struggle with this change as well. Their players become very special to them and it’s a difficult decision to leave. Wish them well and let them know what they have meant to you. Try to stay in touch. It’s crazy how the world works sometimes. The relationships you create in football can last a lifetime. You never know when your paths will cross again. Maybe on another team in the future. Maybe just in the craziness of our lives. However it happens try to stay in touch. Your coach will appreciate it and you can continue to learn from your mentor for years to come. Be open to their coaching. The style in which they run practice, call plays and talk to players will vary. You need to have an open mind to these changes. Coaches do things a certain way for a reason. Often times it’s because they’ve had success that way. Embrace the change and get behind it. You have to have good communication to have a good relationship. If you don’t understand something ask. However, don’t preach about how things used to be. 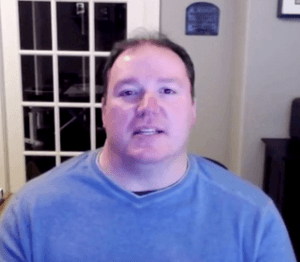 Move on and figure out what your new coach is looking for. This is your chance to step forward and lead. Show you new coach that you wan to be a leader. You do that by setting an example. Be positive and rally your teammates to get behind the new coach. Nothing destroys a team quicker than a divided locker room. Step up and be a leader.